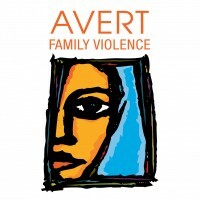 Officially launched at the inaugural ANROWS conference on February 23, 2016, the newly updated AVERT Family Violence Basics Course provides an introduction to the historical and legal contexts of family violence including relationship dynamics, impacts on victims and service responses. After completing the course, which consists of four modules; definitions and legal frameworks, family violence myths, prevalence and integrated and multi-collaborative service responses. Learners will have the skills to recognise family violence dynamics and the impact family violence has on children. To coincide with United Nations International Women’s Day March 8th, two additional courses were launched: Screening and Safety Planning and Responding to Perpetrators of Family Violence. The Screening and Safety Planning course provides an introduction to the procedures for conducting family violence screening, risk assessment and safety planning. Learners will gain knowledge about the family law DOORS risk framework, screening practices, thresholds of risk and safety planning. By completing this course, learners will acquire the skills to conduct effective safety planning. A 2014 World Health Organisation study found that women who experience family and intimate partner violence are 4.5 times more likely to die by suicide. So, we know that a sound screening, risk assessment and a safety plan can help keep women and their children safe. This course is free of cost. The Responding to Perpetrators of Family Violence course completes the suite of online training courses, and offers knowledge about perpetrators of family violence and draws from current research and professional expertise. The course provides an overview of the principles underpinning effective responses, including an exploration of ideas about respect, culture, accountability and gender, a practical framework from which to respond at the societal, community and individual levels and specific strategies for engaging and responding, including the use of the Family Law DOORS screening tools. The cost for this course is $55.00. The Australian Institute of Social Relations also has the capacity to roll this training out on an organisation level. If you are interested, please get in touch with us at 08 8245 8100 or email info@aisr.edu.au.